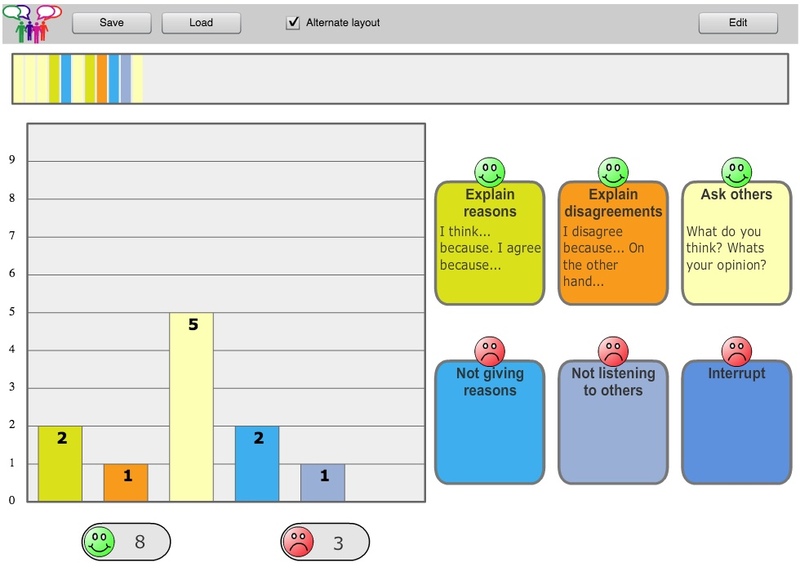 Talkfactory was designed to help enhance the quality of debates in classrooms. It is a simple, free, web based app that allows you (or participants in the debate) to log the nature of the contributions to the discussion and display the results as a bar chart and timeline. You can configure it so that the data capture buttons (on the right in the screenshot) run along the bottom of the screen - which might be useful if using it on an interactive whiteboard with small people. You can also change the wording on the data capture buttons - for example, with a small group you might put in each person's name so you can see how often they each contribute. You could also use it for something completely different, such as to capture how often you get a 2 when you throw a die or to capture up to six 'behaviours' during a lesson - anything that involves a sequence of events, with up to six options. If you give it a try then let me know what you used it for and how useful it was. Next article:What is school for? Glad you like Talk Factory! It is much more than just a data logging tool!!!! It has proved very successful in promoting exploratory talk during whole class discussion in a wide range of subject areas across both primary and secondary schools. Talk Factory is available online (http://talkfactory.uk/) and there are apps in the Apple app store and Google Play. If you use it, please let me know!! Kerawalla, L. (2015). Talk Factory Generic: Empowering secondary school pupils to construct and explore dialogic space during pupil-led whole-class discussions. International Journal of Educational Research 70 pp. 57–67. Thanks for the extra info Cindy. 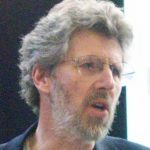 I totally agree that the normal configuration of TalkFactory is a great tool for supporting effective discussion (based as it is on research by Neil Mercer and Karen Littleton). I suspect that it has the potential to be used in loads of other ways too, which was why I referred to it as a data logging tool.